Even as Tesla's overall sales for 2017 rose, the electric automaker has delivered only a fraction of the promised targets on the Model 3, its first low-cost sedan. Electric car maker Tesla Inc has again fallen short of production goals for its new Model 3 sedan. 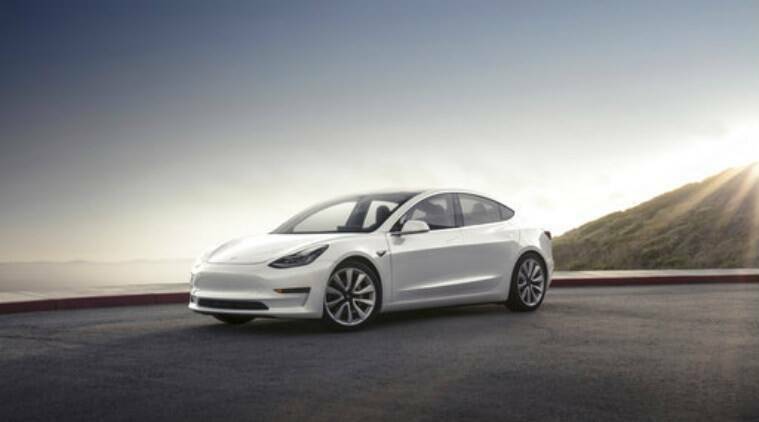 The Palo Alto, California-based company made 2,425 Model 3s in the fourth quarter. That’s only a fraction of the 20,000 per month that CEO Elon Musk promised last summer when the car first went into production. The company exceeded its overall sales targets, delivering 101,312 Model S sedans and Model X SUVs in 2017, up 33 percent over 2016. Tesla says it made significant progress in reducing unspecified production bottlenecks toward the end of the fourth quarter. It now expects to be making 10,000 Model 3s per month at the end of the first quarter and 20,000 Model 3s per month at the end of the second quarter. But the company said it’s focusing on quality and plant efficiency, not just meeting volume targets. Michelle Krebs, an executive analyst for the car buying site Autotrader.com, said Tesla would have been better served by not announcing such lofty production targets initially. “The Model 3 must be right in terms of quality. Ramping up production levels with a flawed product is foolish,” she said. Tesla shares fell 2 percent to $310.50 in after-hours trading.